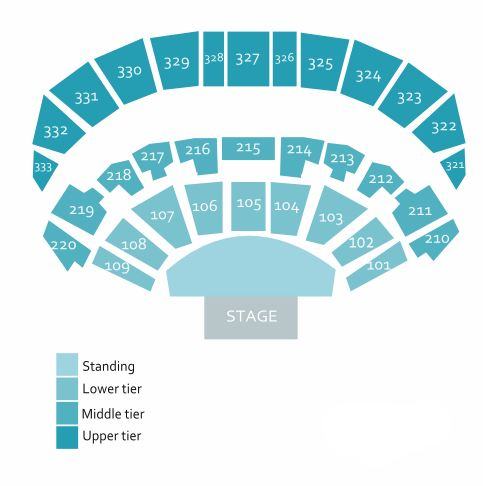 Please be aware that, for our venue, children under the age of 14 are not permitted in the standing area and must be accompanied by an adult for seated areas. No backpacks, holdalls, suitcases will be admitted into the venue. The patron will be refused entry if they attempt to enter the venue with the prohibited item. Patrons with accessible and medical requirements/equipment will be considered on an individual basis but encouraged to contact the venue in advance for ease of entry. There will be no temporary storage facilities for such items within the venue and it will be left to the patron to find a safe temporary facility to hold the item. The venue will not be responsible for late admission or non-admission as a result of this policy. All remaining bags will be searched.